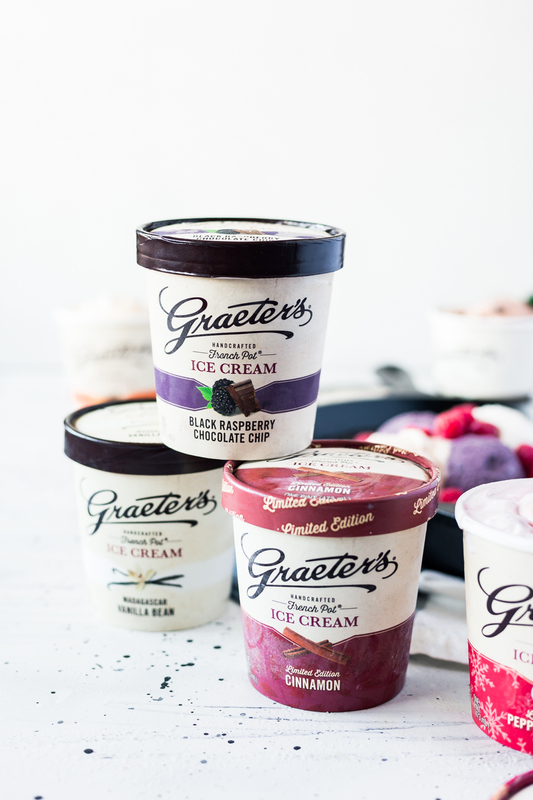 Thank you to Graeter’s for kindly sponsoring this post. All opinions are 100% honest & completely my own. Thank you for supporting the sponsors who support A Simple Pantry! 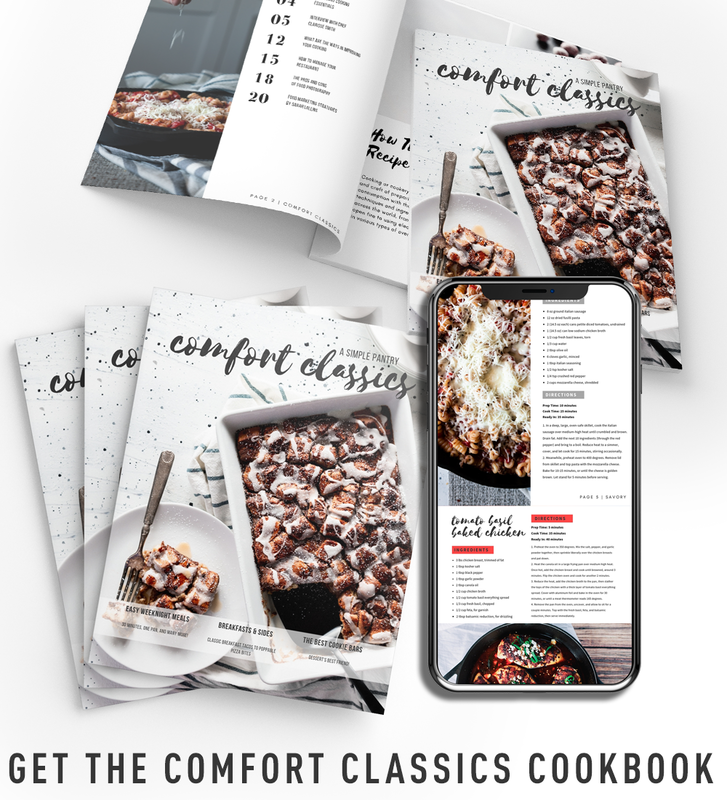 If you’ve been keeping an eye out in this space, you already know I am a huge fan of easy recipes for dessert. 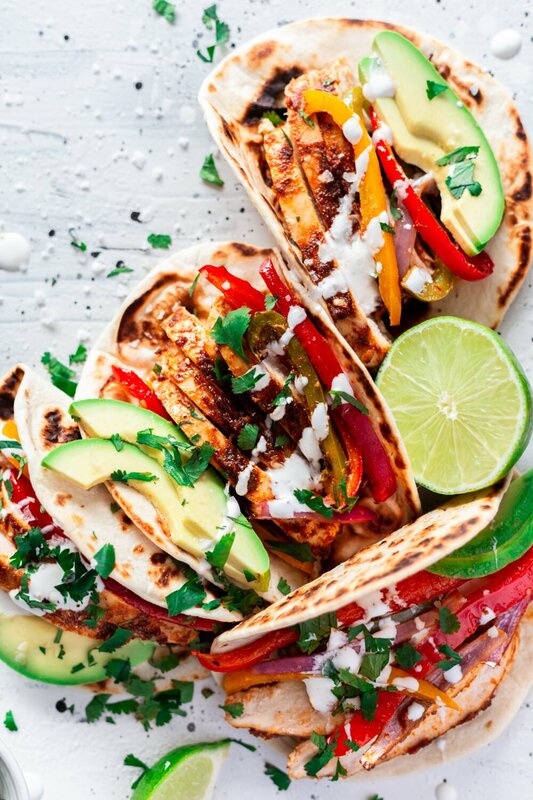 In fact, I am a fan of easy recipes in general! I mean, why not, right? Now that we’re fully invested in the holiday season, keeping things easy is key to avoid stress and burnout. 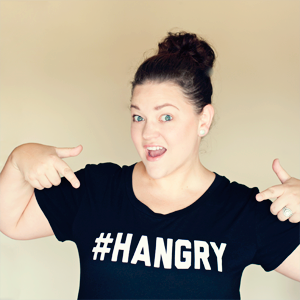 I want to enjoy the holidays, not loathe them! 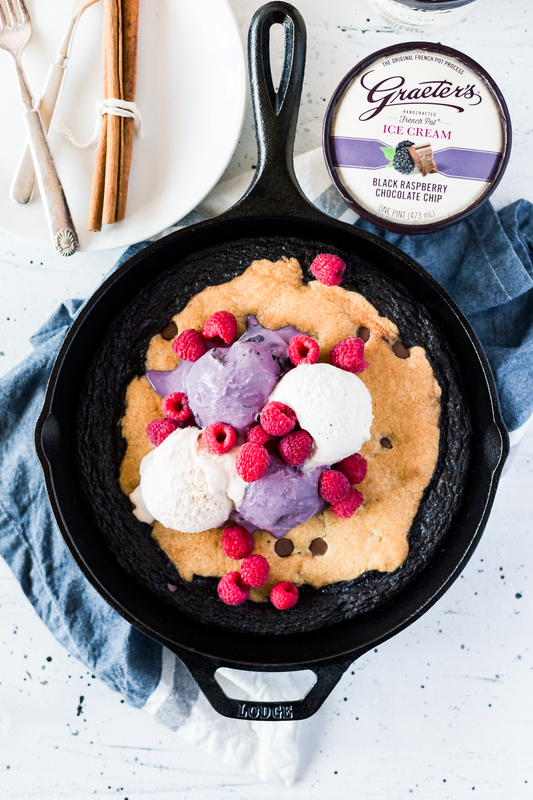 But here I am, hanging out with this amazing raspberry ripple skillet brookie and the oh-so-enviable pints of Graeter’s Ice Cream! Are you guys familiar with the French Pot method for making ice cream? 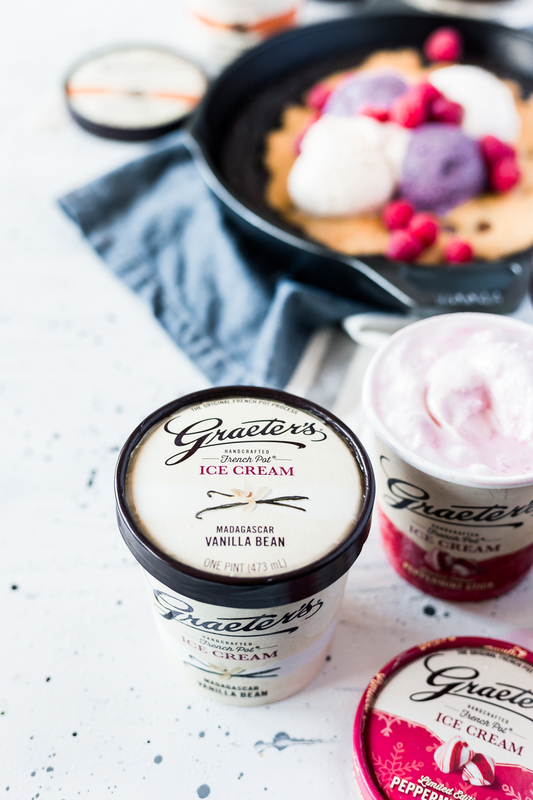 Graeter’s uses that method to make small batches of ice cream-only 2.5 gallons at a time-and the result is an ice cream so dense and creamy it’s like heaven on your tongue. Not even exaggerating. I promise. They’ve made it this way for over one hundred years, and I’m kind of sad I went 34 years without knowing this awesomeness. I whipped out a bunch of pints over the Thanksgiving holiday and my family is pretty much just as obsessed as I am now. 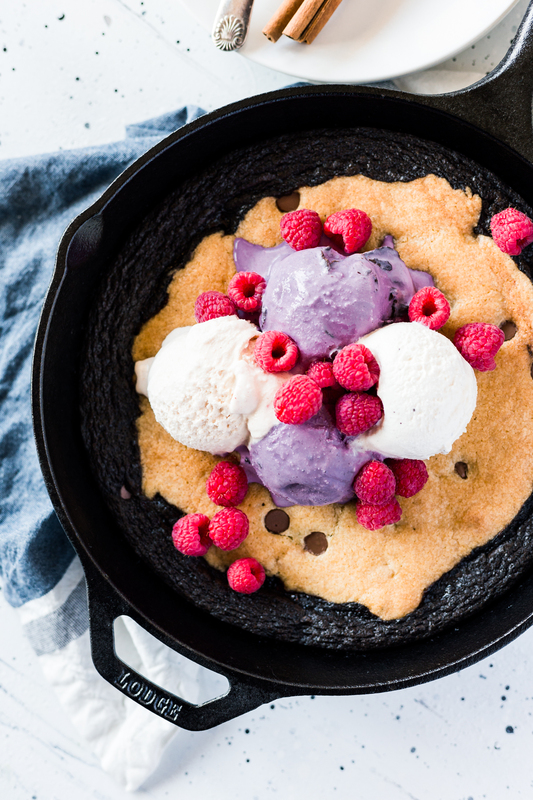 Some cool, creamy scoops are the perfect accompaniment to this raspberry ripple skillet brookie. I went with a raspberry ripple because the Graeter’s Black Raspberry Chocolate Chip was calling my name something fierce. I whipped together a raspberry sauce to drool over, that I swirled around in the brownie portion of the skillet brookie. The slight tang of the raspberry sauce balanced the slight bitterness of the dark chocolate cocoa powder. 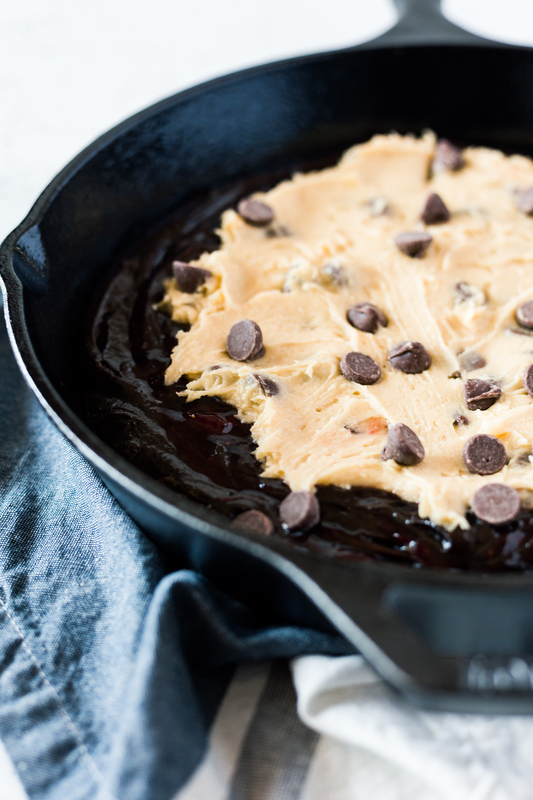 Tossed in a heaping dollop of chocolate chip cookie goodness and baked it all up in my trusty 10″ cast iron skillet. This is not a dessert you want to overbake. You need some gooeyness to the middle for that skillet dessert love. After that, you can top it with any of your fave flaves of Graeter’s Ice Cream (I went with Black Raspberry Chocolate Chip for obvious reasons, but Vanilla Bean and Cinnamon are also amazing with this), and dig in like a champ! 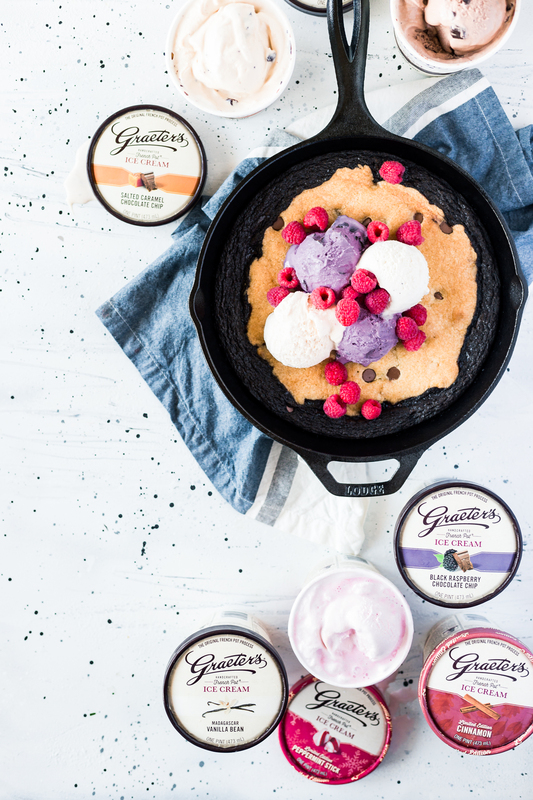 If you haven’t fallen in love with Graeter’s yet, you’re about to, so enjoy, and maybe top all your easy recipes for dessert with some ice creamy goodness! In a small pot, combine the raspberries, sugar, and lemon juice. Heat over medium low until the raspberries burst and thicken, around 20-30 minutes. Remove from heat, then press mixture through a sieve to remove seeds. Set aside. Preheat the oven to 350 degrees. 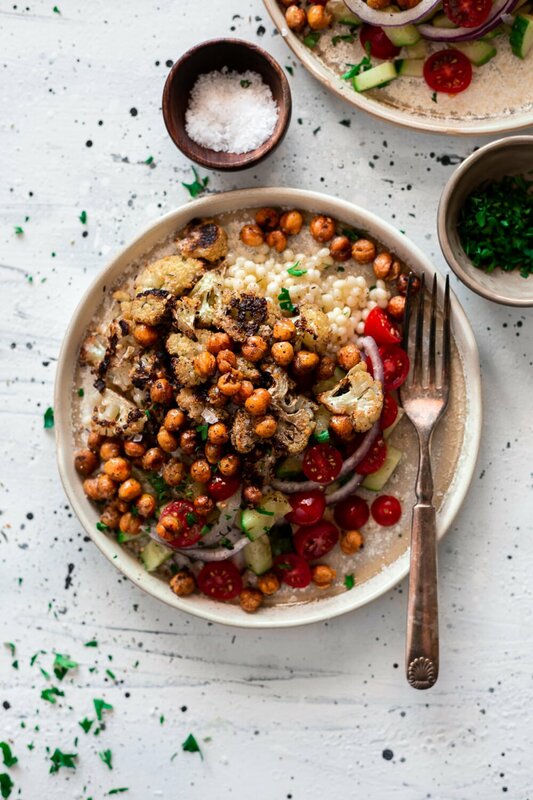 Lightly grease a 10-inch cast iron skillet or round baking pan with non-stick spray, then set aside. In a medium-sized bowl, whisk the melted butter and sugars together until the sugar has dissolved. Add the cocoa powder, whisking until dissolved and smooth. Beat in the egg and vanilla until well incorporated, then stir in the flour and salt until the batter is smooth and thick. Set aside. 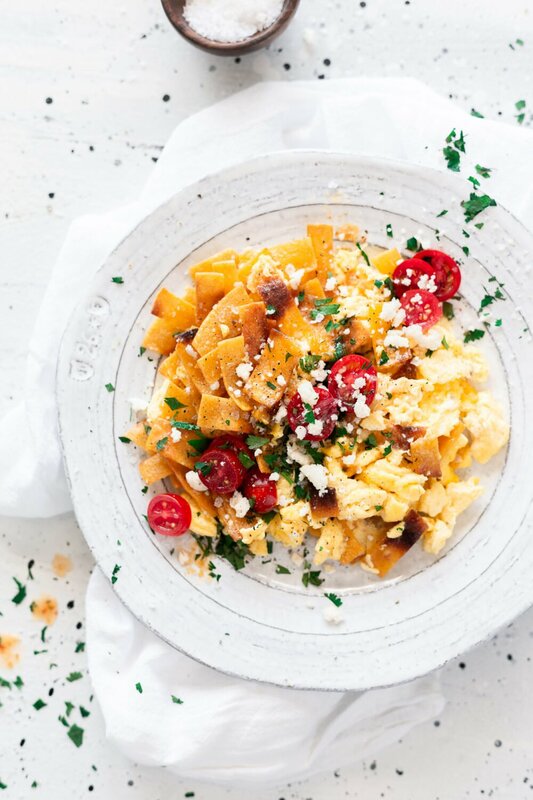 In a separate medium-sized bowl, beat the butter and sugars together until light and fluffy, around 3 minutes. Add the egg and vanilla, beating until smooth. Add in the flour, baking soda and salt, stir in the dry ingredients until a cookie dough forms. Fold in half of the chocolate chips, then set aside. Pour the brownie batter into the skillet and spread out evenly with a spatula. Swirl the raspberry sauce throughout the brownie with a spoon. Scoop the cookie dough into the brownie batter, then sprinkle with the remaining chocolate chips. Bake for 25-30 minutes, or until the cookie is golden and the edges are set and pulling away from the sides of the pan. Do not over-bake. Allow to cool in the pan for about 10 minutes and serve hot with your favorite flavor of ice cream. The raspberry sauce can be prepared in advance and stored in the fridge for up to three days prior. 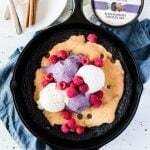 If you're looking for easy recipes for dessert, this Raspberry Ripple Skillet Brookie is a definite crowd-pleaser! 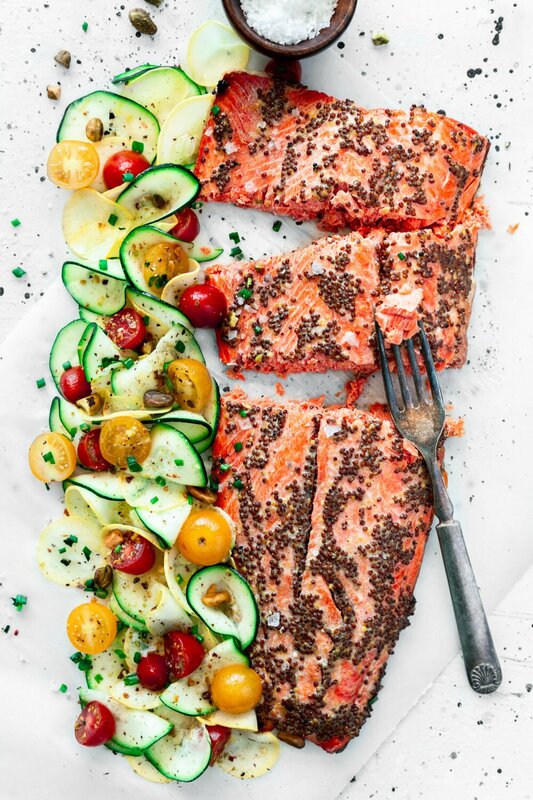 The prep is simple, and it cooks in a single skillet! If you've never tried a brookie before, get ready to have your mind blow. 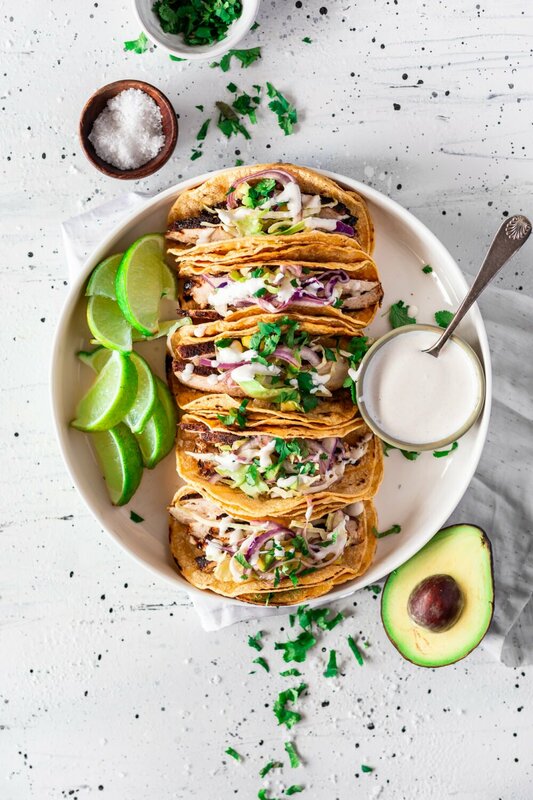 Serve with your favorite ice cream and enjoy!